Our friends Sal and Edy wanted to see a chateau so being the good hosts that we are a chateau was what they got. In 1380 Philip the Bold, Duke of Burgundy bought the fortress of Germolles for his wife Margaret of Flanders. Margaret, with the help of the finest artists in Burgundy turned the fortress into a luxurious home. 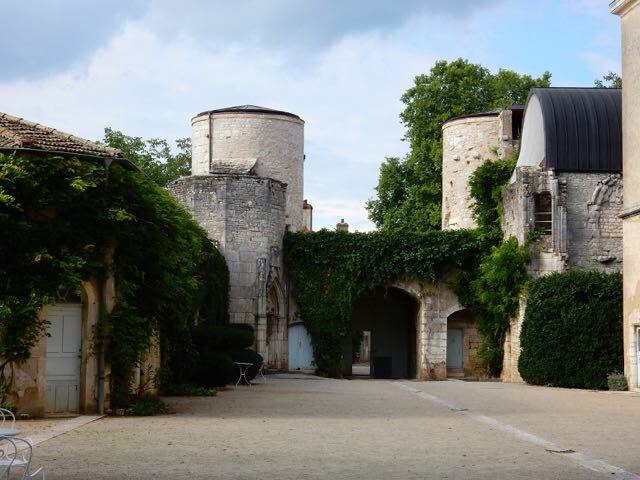 Not far from Beaune, which is considered the heart of Burgundy, Chateau de Germolles is the best-preserved country chateau built by the Dukes of Burgundy. Today, less than half of the original chateau still remains. Germolles is privately owned, and like many of the private chateaus that we have visited the owners are just barely holding on to it. If it were not for the subsidies they received from the French government they could never maintain these ancient homes. For seven and a half euro per person the owner gave us an informative if not passionate hour and half tour. Opening their homes to the public is another way the owners of many chateaus help subsidize the enormous maintenance costs. The entrance to Chateau de Germolles. Our tour guide, and owner of Germolles, tells us about how this basement had been filled with rubble. 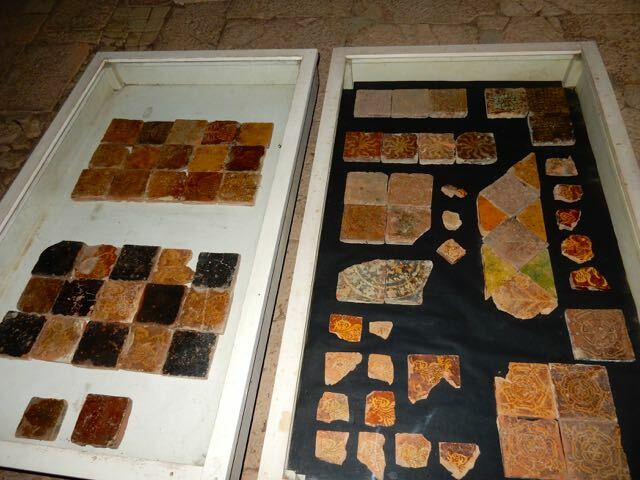 Beautiful ceramic tiles found in the basement. 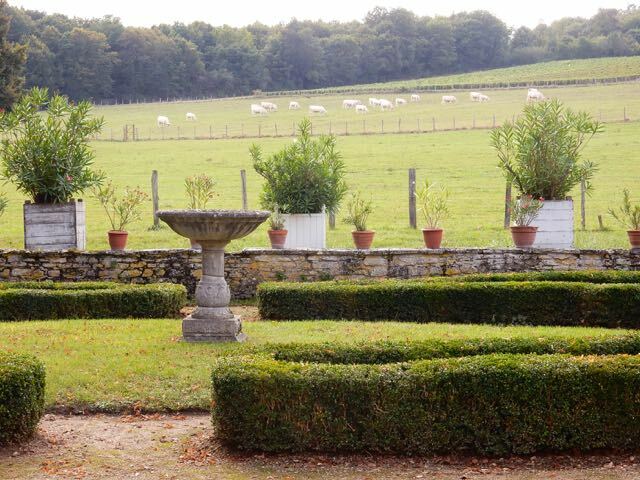 The gardens at Chateau de Germolles. After our visit to Germolles we decided to do a little wine tasting. 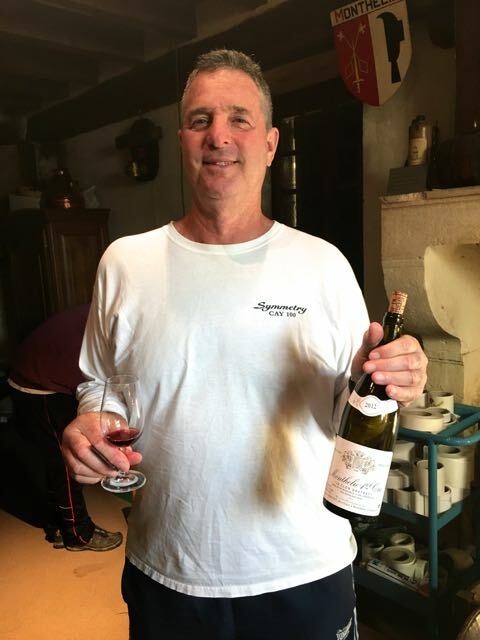 A wine maker friend from Northern California introduced us to Paul Geraudet four years ago. This was our third time back. Geraudet’s winery in Monthelie was close to Germolles, and offered great wine at reasonable prices. A little wine tasting at Paul Geraudets in Monthelie. The barrel room at Paul Geraudets. 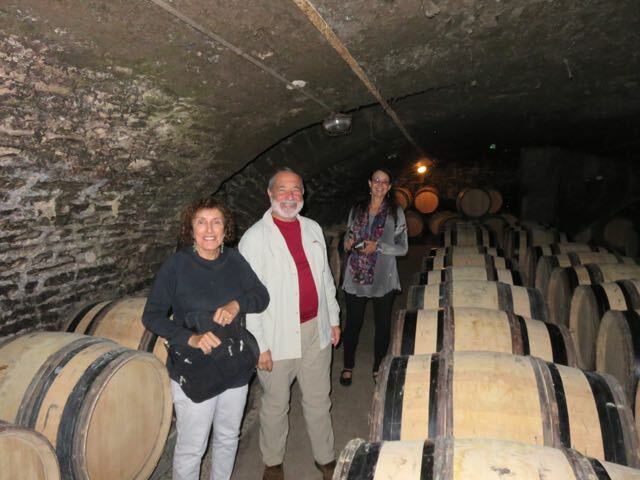 We also went wine tasting at a winery in the village of Meursault, which is also known for excellent wines. Unfortunately our experience was not nearly as enjoyable as our tasting in Monthelie. The wines were relatively pricey, and I didn’t care for them. By using the APP Vivino it’s easy to find out if you’re being ripped off our getting a bargain. All you do is take a picture of the label on the bottle. The APP goes into its huge database, and the next thing you know there’s a review of the wine and the price you should pay. As it turned out the wines we tasted were over priced. In fact we could buy them in California for less than they were being sold at the winery in France. 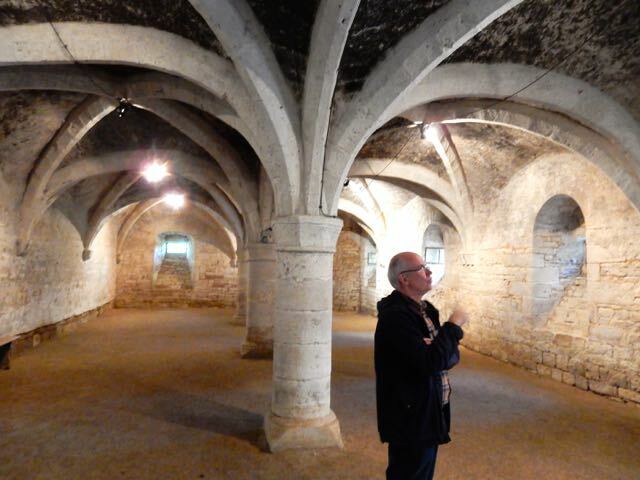 Our next stop with Sal and Eddy was the Abbey at Cluny. 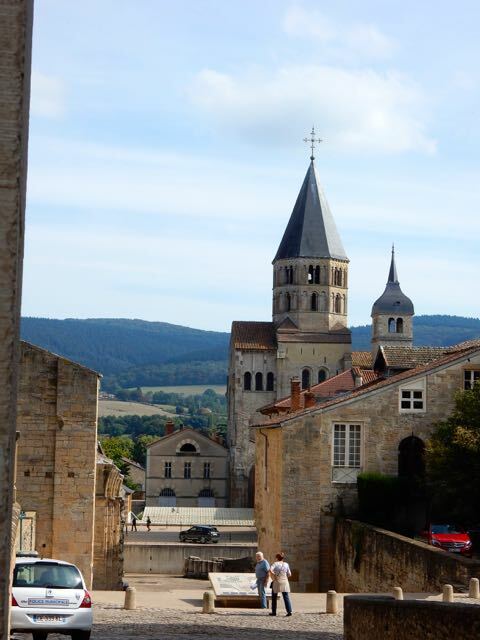 I had heard about Cluny, but never realized what it was. Started in 910 by William I, Duke of Aquitaine, Cluny was the largest church in the world until Saint Peter’s Basilica in Rome was completed in 1626. Most of the church was destroyed in 1790 during the French revolution. Only 10% of the once magnificent structure still remains. 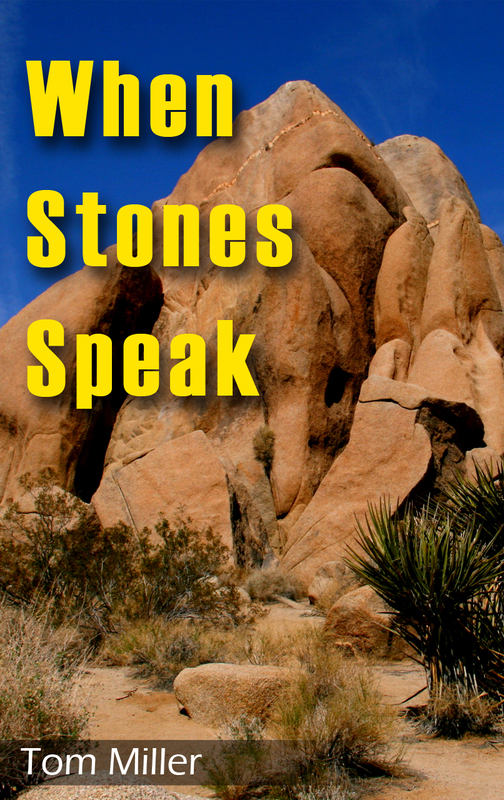 Even so you can get a feel for the immensity of the church. 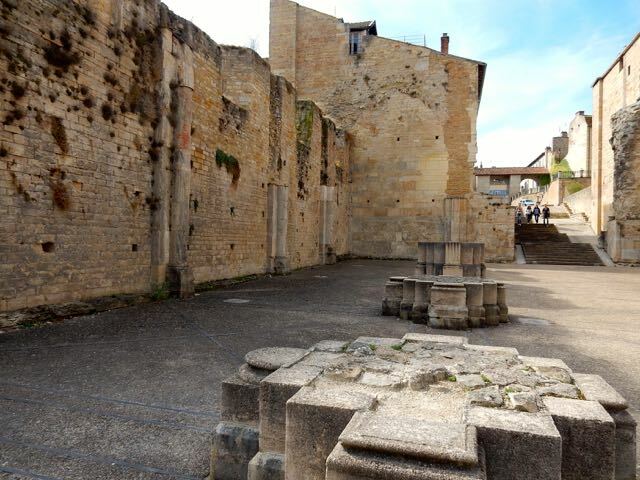 The foundations for the massive columns along with the southern transept that soars high above the town are still there. At one time the church was 600 feet long and the ceiling 100 feet high. The woman in the foreground is standing where the entrance to the church was. The tower is the right transept. Note the size of the people near the black car for perspective. Remnants of the original columns. 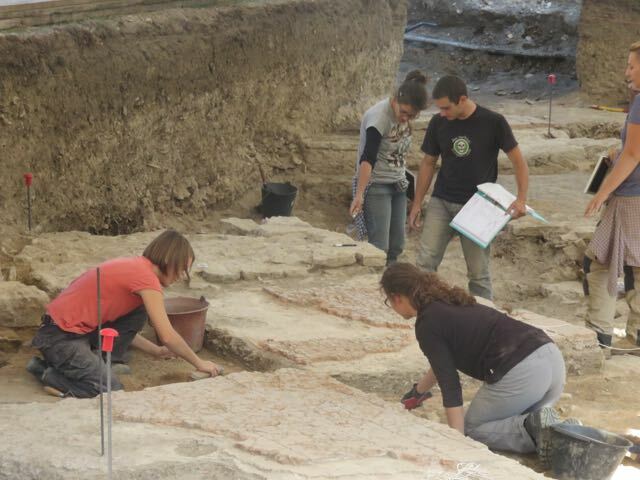 They are still excavating at Cluny. What remains of the living quarters is now an engineering school. The students are given a plain jacket during their first year. 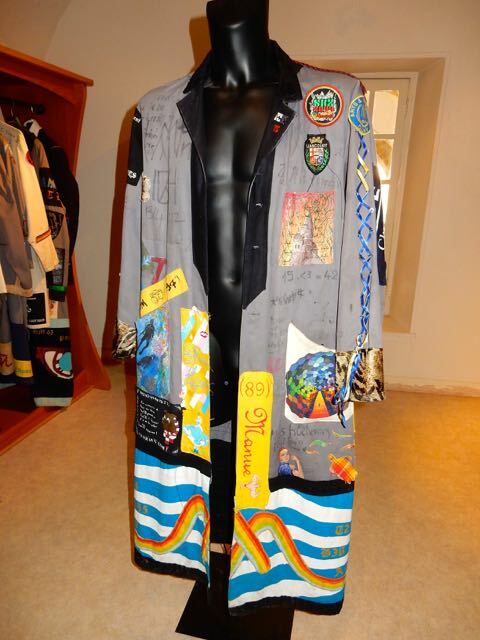 Starting in the second year they are allowed to decorate the jacket as they please. Some of the decorations were rather imaginative. 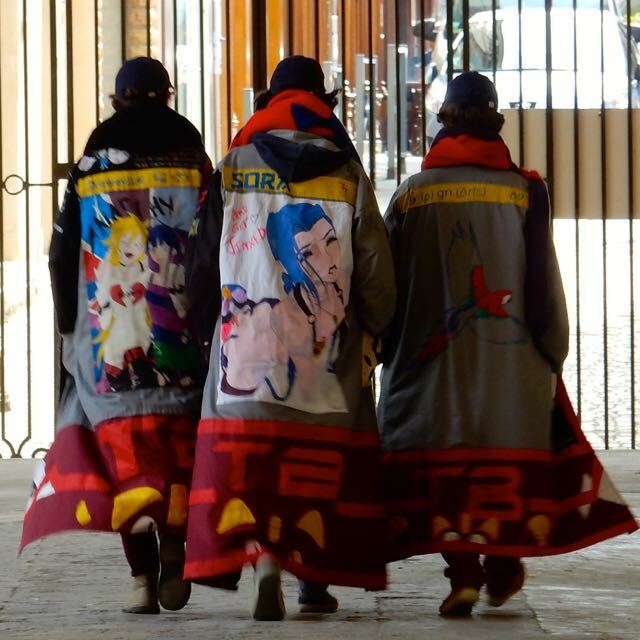 Three students wearing their colorful jackets. 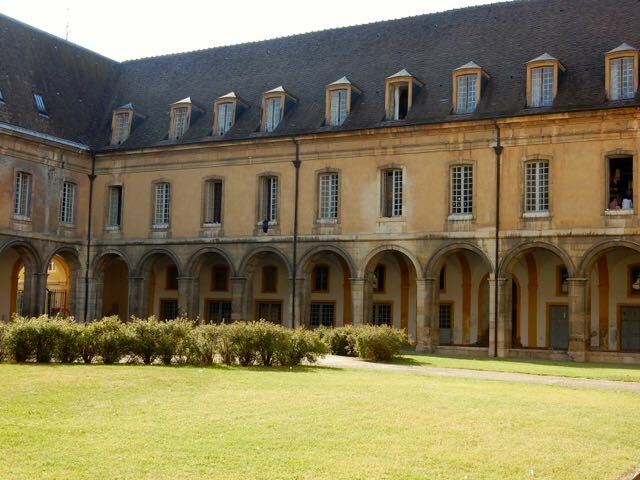 Part of the engineering school at Cluny. A small museum at the engineering school.